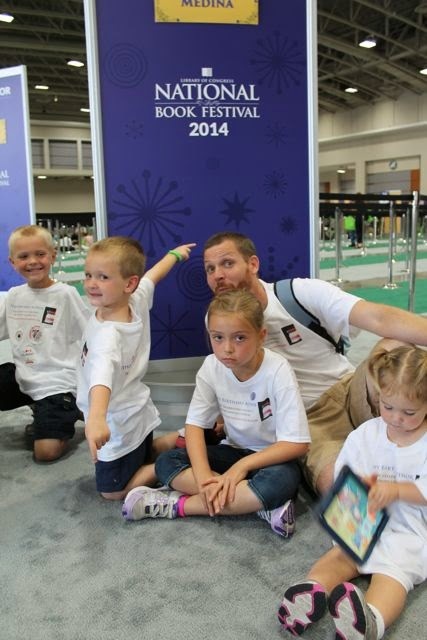 Our family traveled to Washington D.C. for the National Book Festival over Labor Day weekend. 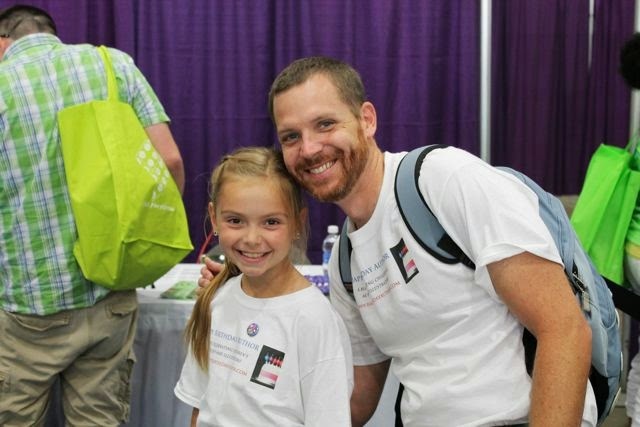 This was our third year in a row we have visited our nation's capital for this event. 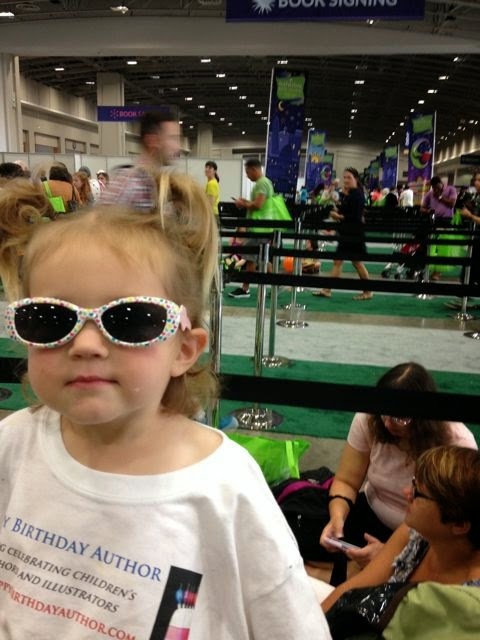 Here are some of our favorite photos from the special day. 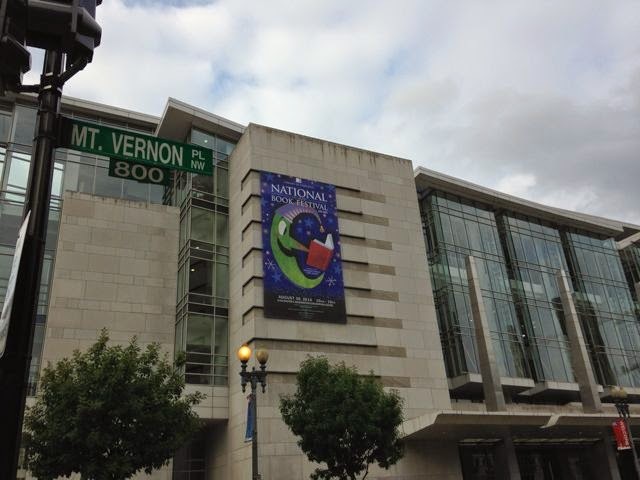 The Walter E. Washington Convention Center was this year's venue. Bob Staake's awesome poster greeted us on our approach. 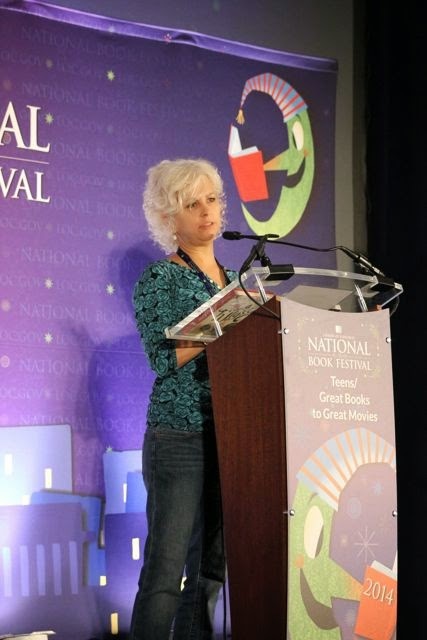 Our day started around 10am with Kate DiCamillo, the current National Ambassador for Young People's Literature. 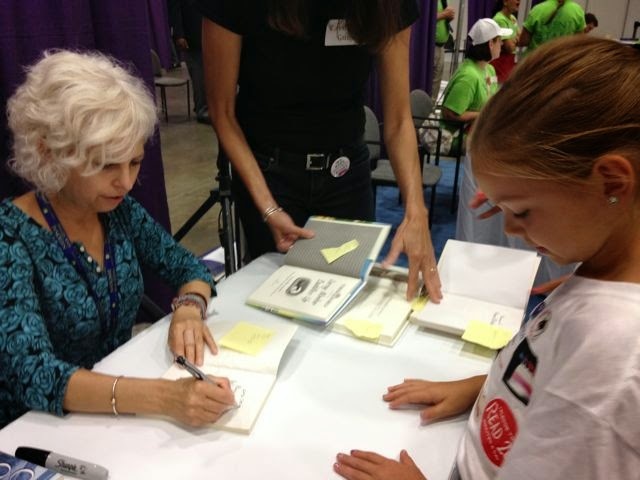 My daughter got her copies of The Miraculous Journey of Edward Tulane and Because of Winn Dixie signed! 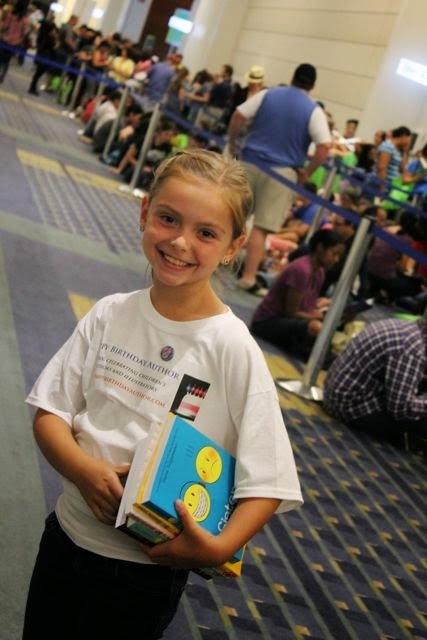 My youngest daughter was looking good while waiting in the autograph lines. 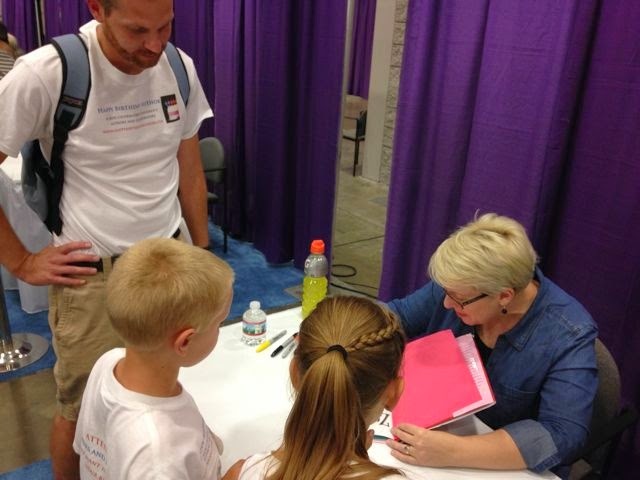 Molly Idle signed 3 books for us; Flora and the Flamingo, Zombelina, and Circus Fantastico. 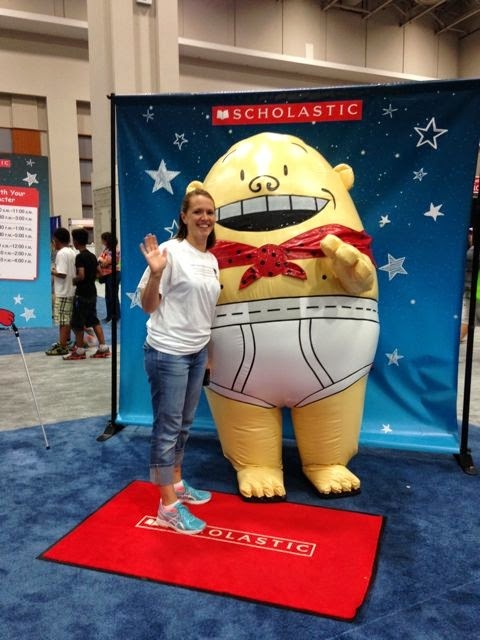 My wife got to meet Captain Underpants. 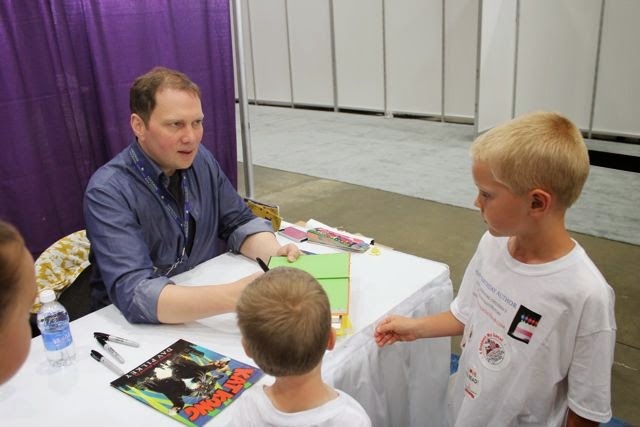 My boys chose to meet Dav Pilkey instead! Goofing around sometimes doesn't sit well with a 9-year-old. We heard Theodore Taylor III talk about his book When the Beat Was Born. 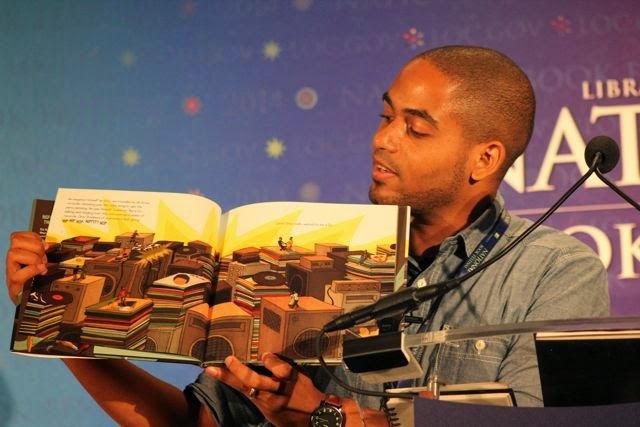 He was awarded the Coretta Scott King - John Steptoe Award for New Talent because of this book. Now my nine-year-old is smiling! We met Brian Lies! 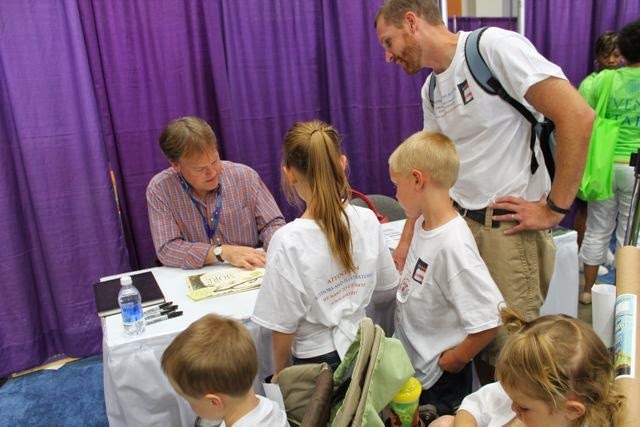 He shared his birthday for our Happy Birthday Author blog! 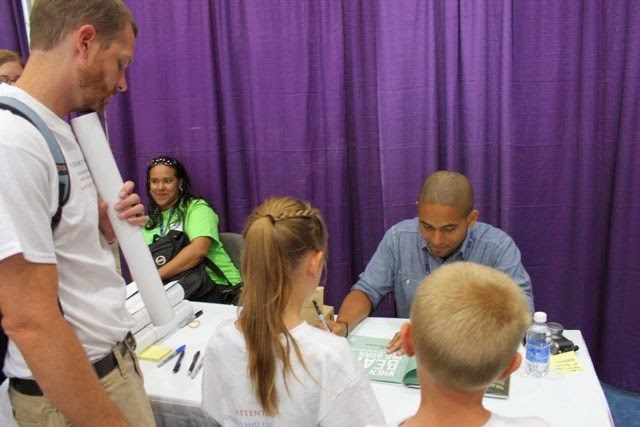 Theodore Taylor III signed our book, too!! 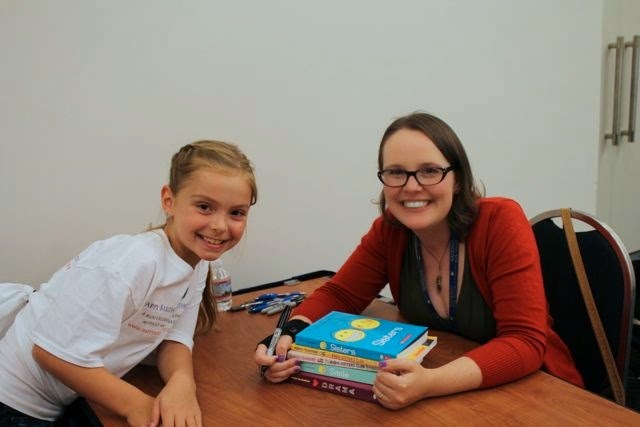 The highlight of the day for my daughter came around 6:30pm when she got to hear Raina Telgemeier speak. Can you see the excitement in her posture? 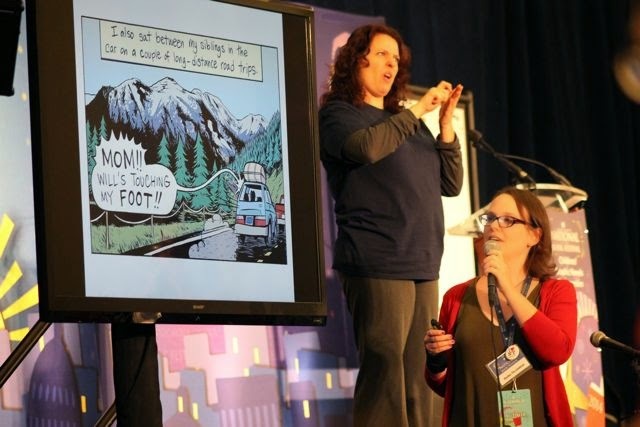 Raina kicked off the Graphic Novel Super Session. It was insane! 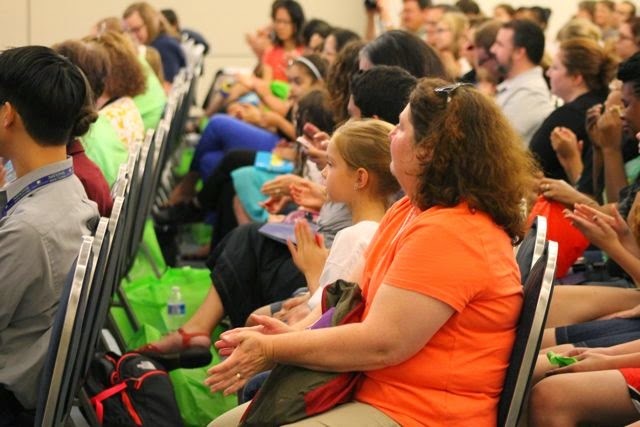 I have never seen so many kids excited about books in one room! 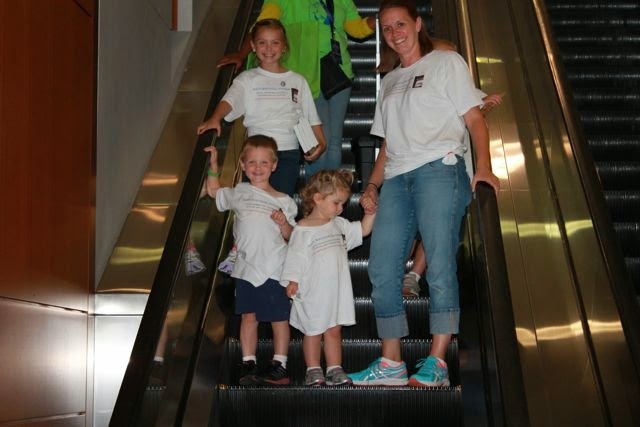 We finished up the day by riding all the escalators at the Convention Center. It was a reward for my youngest daughter. She was so good all day!